original tunes. The group have been playing over 7 years having a slight changes in members. The band members are the musicians who he really loves and trust from his heart. The group mainly performs in various venues in Kansai Area. As a duo, Ryo Hatakeyama and Yuko Yoshida have been performing for more than thirteen years, with styles ranging from jazz to funk. They not only perform their original music, but also uphold the tradition of jazz from the swing era to contemporary, as well as being inspired by music from other genres. Having collaborated for almost ten years, their chemistry is perfect and their performances are always full of good vibes and grooves, with a magical touch. 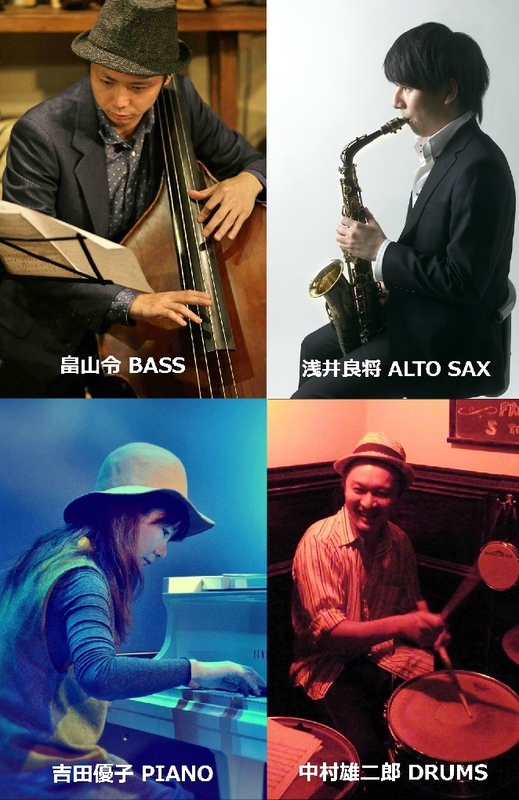 They have played at a event in France in 2014 and have been playing in many festivals, including the Europa Fest in Romania, Kobe Jazz Street, Takatsuki Jazz Street, and Kadoma Jazz Street.